The newest LTE radios offer peak speeds up to 2 gigabits. With the right phone, you should receive 150-700 megabits down, occasionally more. These are lab results. Actual deployments are a year or two away. Huawei's BANDSpeed will increase that. BandSpeed also is a while away. Today's best networks in the field peak at 750-1200 megabits. With the latest phones, you will often get speeds of 100-400 megabits and occasionally higher. 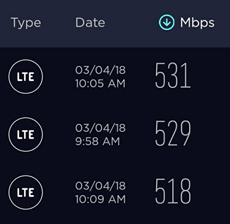 These lab results suggest LTE speeds can go up 50% to 100% in the next few years. Uploads are more likely to be 50-150 megabits, unfortunately. At left are speed tests from PCMag editor Sascha Segan. He achieved over 500 megabits ar a T-Mobile cell site at 45th St. and Third Avenue in Manhattan, as you can see in the illustration. Today, tens of thousands of locations worldwide offer "peak" downloads of a gigabit. There is little new technology needed for these speeds, just more channels and additional MIMO. In ideal conditions and close proximity to the base station we managed to achieve transfers over 800 Mbps (around 830-850 Mbps) with means reaching current technological limit for a 100MHz wide spectrum. In “daily-use” cases (farther away from the station, on a street, in our #5G_LAB building) we are registering speeds around 350-500 Mbps, which is really great considering the circumstances. Important sidenote: while at the moment the 100MHz lets us theoretically reach around 850Mbps, in a couple of months, with future releases of the 5G standard this theoretical limit is likely to double. This means that with proper implementation real-life measurements should also improve. 200 FDD Massive MIMO systems are on their way to True Thailand from Huawei. FDD has been in dozens of trials for two years, but this is the first announced deployment. British Telecom tells me their trial is going well; if that continues, they will deploy. This is important because most spectrum below 2300 MHz is FDD and currently carries most of the traffic. Tens of thousands of TDD Massive MIMO systems have shipped, most in the 2500 and 3500 MHz bands. Huawei has tested the 32 antenna systems to 4.7 times the capacity of a two antenna system. T-Mobile expects actual performance in the field to be more likely 2-3X, especially to mobile phones. Ericsson's Kathy Egan in 2017 wrote me, "Capacity increase as compared to 2 transmit antennas is between 1,5x – 3x on average and 1,9x – 5x for cell edge." I don't believe they have announced substantial deployments, although several carriers are ready to go. Lund University notes line of sight performance is much better than NLOS. The official city plan calls for the "double gigabit" for all 9 million homes in Shanghai. FTTH is everywhere. 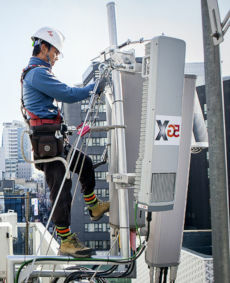 5G will deploy to 10,000 base stations by 2020, aiming for complete city coverage. The Chinese have chosen to emphasize Mid-band 5G for gigabit peak speeds. Users will usually connect at 100-400 megabits, 4G speeds. The city is also planning 100 cloud data centres with 16,000 racks. They are confident of over 100 "metropolitan IoT" applications. The definition of Edge depends on whom you ask. 5G network designers expected "Edge" to be at each cell or close. No company has committed to building a network like that. 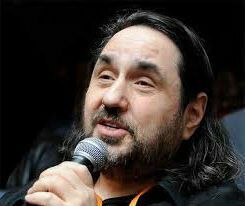 Shanghai, like Deutsche Telecom, is building further from the home but inside its own core network. For clarity, I call that an Edge/core network. Shanghai houses less than 1/50th of the Chinese population. 50 X 10,000 cells would be 500,000. Shanghai is one of the richest and most advanced cities in China. I would apply perhaps a ten times multiplier and come to a wild guess of 100,000 base stations in 2020. That would be more than the United States. 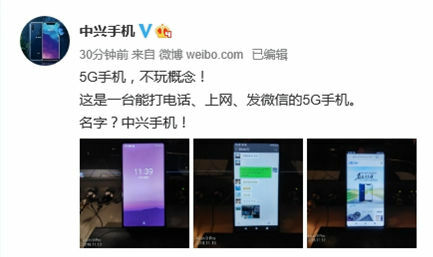 ZTE is the first phonemaker with a 5G phone, as they show in the Sina Weibo post. It won't be for purchase until 2019, of course. 20 companies have promised phones in 2019. Very few chips and hence very few phones will be available in the first half of the year. We have no specifications or price for the phone; it may not do millimetre wave. Qualcomm demo'd at Swisscom a working unit "in a mobile form factor," with a claimed speed of 1 gigabit shared. Many more to come, probably formally introduced at MWC Barcelona in February. The only one missing will be Apple, reports say. The 5G iPhone will be 2020 because Intel is a year late with the chips. Pokémon GO first to DT "Edge network in the core"
"All current IoT applications work well with 4G, although I expect change in the future." You, yes you, should help define the wireless future at ITU Focus Group 2030. I did.